Our building has stood at the corner of Westfield Avenue and Saint Georges Avenue since the late 1700s. The original portion of the building was constructed as a two-story home and general store. In 1798, Jon Anderson, a local businessman purchased the property and applied for a license to operate a tavern. His business venture was successful and in a few years he extended the building eleven feet and created extra rooms on the second floor. Saint Georges Avenue becam e one of the most well travelled roads in America. It’s dusty path linked the cities of New York and Philadelphia and a was a direct route between Newark and Princeton. 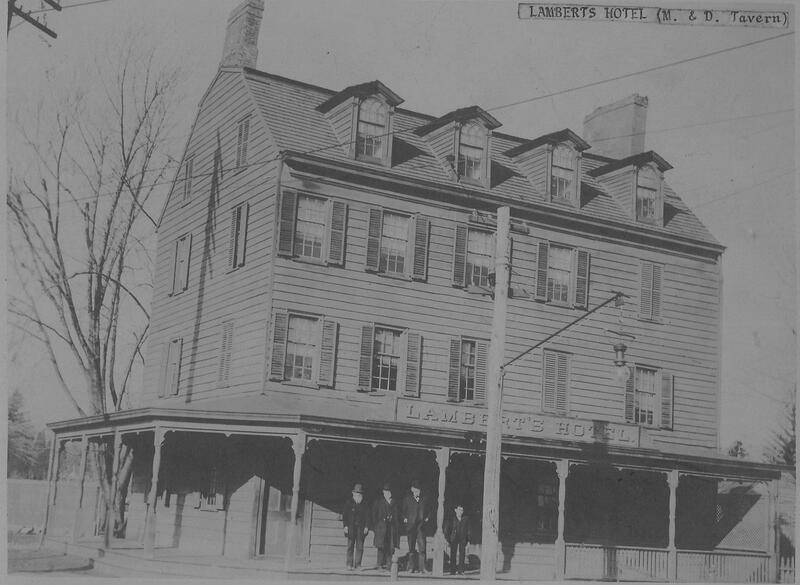 By 1820 the Inn and Tavern business was flourishing and the building was modified to include a third and fourth floor to accommodate the many travelers. Rahway quickly became one of the most important manufacturing cities in New Jersey. It became known as Carriage City due to the many carriage factories in the area. At the height of carriage and stage coach travel most of the United States’ carriages were made in Rahway. 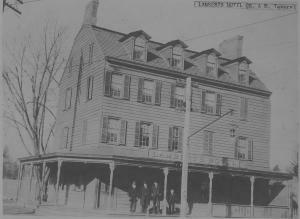 The building continued to function as a tavern and inn until the 1930s. Sadly, the structure could not be further renovated to compete with the modern amenities of newer automobile-centered motels. 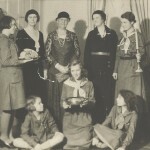 Instead of selling the desirable property, the descendants of the original innkeeper offered to rent the building to the Girl Scouts. For over forty years troops from Rahway and neighboring towns maintained this historic building as their headquarters. 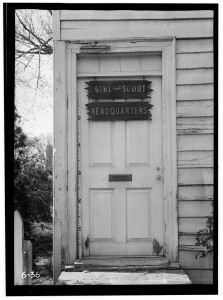 By the end of the 1960s there were rumors that the owners were planning to sell the Old Girl Scout House to a developer. 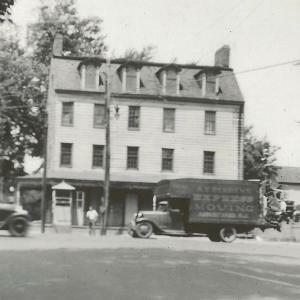 The citizens of Rahway formed the Rahway Historical Society in an attempt to save the b uilding from demolition. 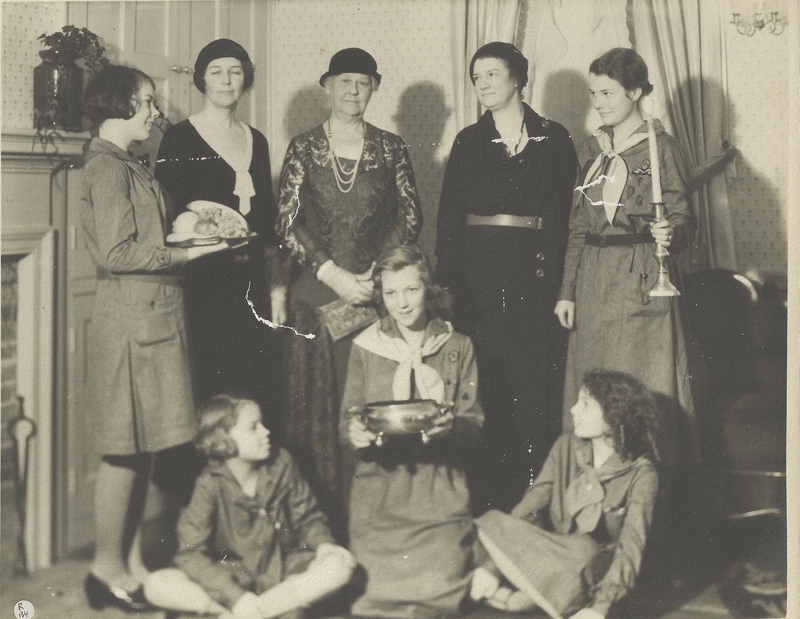 Through months of fundraising, door-to-door canvassing, and generous donations the building was purchased in 1969. 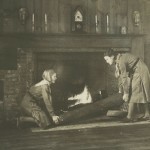 The Rahway Historical Society is now the Merchants and Drovers Tavern Museum Association and is dedicated to preserving this important, historic building and interpreting early American travel and tavern life. Today, the four-story federal style building has been restored and decorated to its 1820s appearance. In 2013 we began a multi-phase restoration project to stabilize, repair, and restore this important example of American history and architecture. Today, guests can step back in time to 1820 an see an early American bar and taproom, view the accommodations available to nineteenth century travelers, and tour our exhibit room dedicated to telling the story of tavern life. 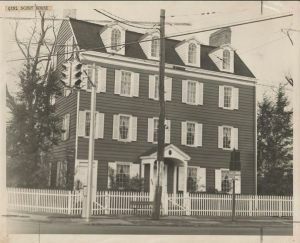 In conjunction with our mission, the Association also maintains the Terrill Tavern (circa 1765) located on the property, which serves as an original example of an eighteenth century, single-family home. We also utilized the neighboring historic Rahway Cemetery (circa 1724) to interpret local history. 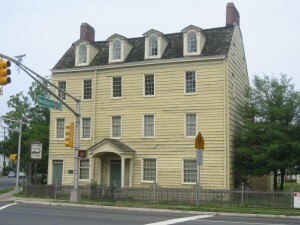 The Merchants and Drovers Tavern Museum is listed on the National Register of Historic Places as well as the New Jersey Register of Historic Places. Our building has been recorded in the Historic American Buildings Survey for the Library of Congress for its importance as an example of Federal-style architecture. We are located at 1623 St. Georges Avenue in Rahway, New Jersey, on the corner of St. Georges Avenue (Route 27) and Westfield Avenue.